Minutes after I won the Luxemburgish CX championships last weekend, one of the journalists asked me this question: “why do you keep riding after all these years, it must get boring?” I was cold and dirty so I thought, be smart and keep it short. “Because it is my job” was my answer. As by now I got a warm shower and a hot tea, I want to use this blog to send him a more detailed answer to his rather complex question. I do admit: it gets a bit boring for spectators and journalists in Luxembourg when it comes to the women’s race. There is not much I can do about it and stopping racing won’t bring the solution on contrary, it would be as boring, but slower. Believe me I would be the first person who would be happy about having a good fight with a talented young Luxemburgish girl. Winning without a fight doesn’t have the same taste than winning or even loosing having done all you possibly could have done. I have been winning this race over the past 10 years. While you all might see this as a huge achievement, the absence of upcoming talents makes me feel rather sad than happy about my winning strike. Yes more and more girls are racing cyclo-cross in Luxembourg but we also have to admit that our level in cyclo-cross, for different reasons, isn’t that high compared to our neighbours. I had big hopes with Worlds being held in Luxembourg in 2017. 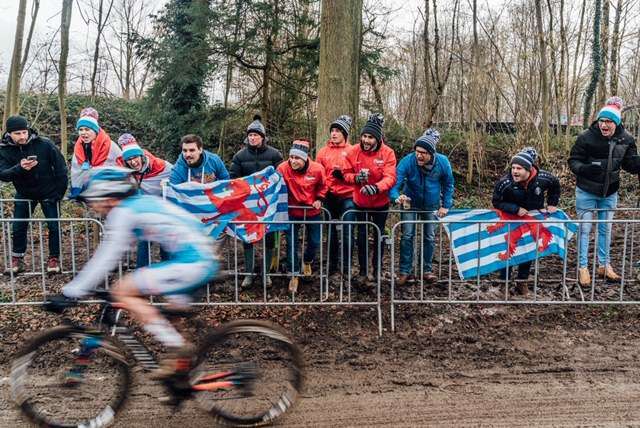 In my ideal world such an event would have been a reason enough to create, maintain and develop a specific cyclo-cross program in Luxembourg. 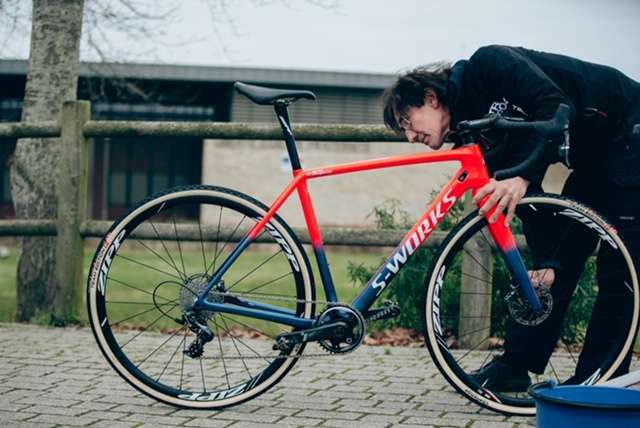 A program that would include not only traveling as a group to races abroad but also detection and especially logistical support for the most promising riders during the whole year, as logistics are probably one of the biggest challenges in modern cyclo-cross. 2016 and 2017 made me dream that anything would become possible. Training rides have been held already during the summer, we rode all the World Cups together and most importantly, the riders were given the feeling that, what they were about to do was something great and important and that they had full support from everyone to achieve their goals, small or big. The worlds came and unfortunately everything that was built, dreamt and imagined during the run-up to this event disappeared the moment Wout Van Aert was crowned World Champion. Instead of trying to develop even further what has been built the previous 2 years, we went back to what we had before. Riders that rode, stopped, others went on to the road. No specific program anymore, only 5 races abroad as a team (including Europeans and Worlds) and a “priority to the road” politic. 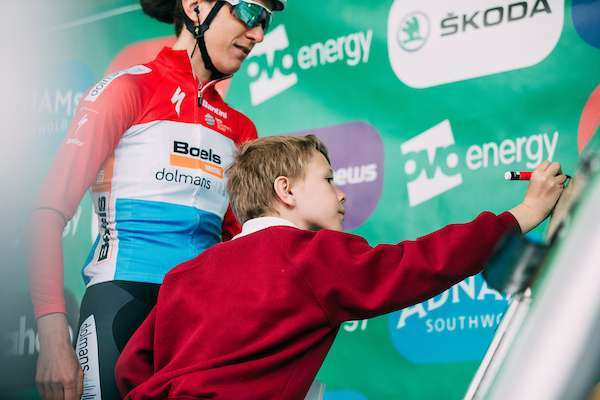 The only thing left is the Skoda Cross Cup and the passion of a handful of riders and staff to keep the Cyclo-cross passion alive in Luxembourg. But a handful is unfortunately rarely enough at the highest level. It isn’t hard to understand that if you don’t compare yourself to stronger than yourself, you will never be able to take the next step. You might be able to develop physically because you train well, but believe me you will never find your limits alone. 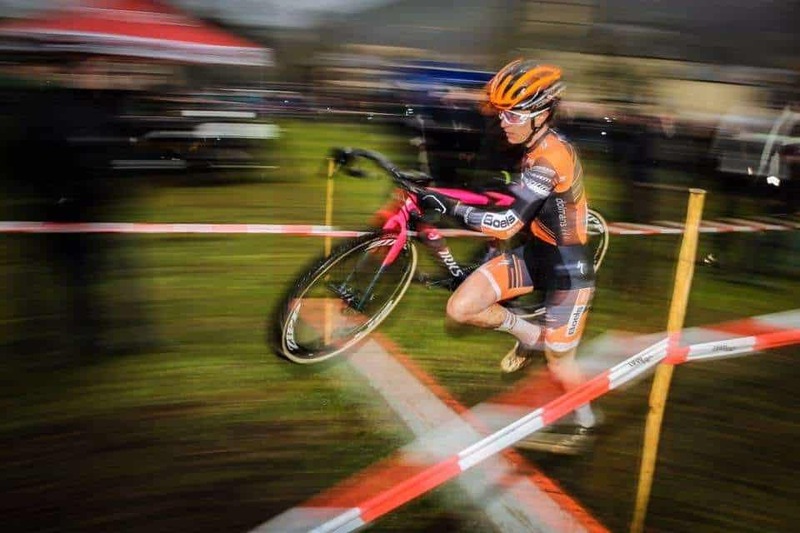 You might be a potential Cyclo-cross champ but having potential isn’t enough. You also need to be given the chance to explore it, step by step. Either you do it all alone, which means up to you to organise everything. Travel, training, staff, material, etc. That’s the hard way of learning. Or you are luckier and you just jump into an already existing structure mostly national team who takes care of every detail for you. Easy to guess under which circumstances you have the most chances to make it to the top of the rankings and join a professional team. When you are first year U23 and the doors are wide open for road riders and deadly closed for Cyclo-cross riders your choice is pretty quickly done. Either you stop or you become a roadie even if your heart beats for Cyclo-cross. Ever wondered why Luxembourg has so many good road riders but no Cyclo-cross rider? There certainly isn’t any physiological reason for that. So yes at the moment our CX nationals might be predictable but on the other hand again I can’t change the situation myself. I am one of those handful riders left who is passionate about Cx and who is putting a lot of personal energy trying to race at the highest level and to keep the Luxemburgish flag high abroad. It might look easy when I race at home but believe me it never comes easy anywhere else and above all it never gets boring whatsoever. Nationals might not be the most exciting race for me, nore for you, but it is a race I highly respect. I respect the jersey and no matter if the win comes easy or not I wear our national colours with a lot of pride while out training or racing. No matter if you decide to become a professional athlete, a musician, a cook, a great scientist, a helicopter pilot, a rock star or whatsoever, it is possible. Not easy, but possible. And once you are there you will realise it was all worth it. That’s why I still ride.